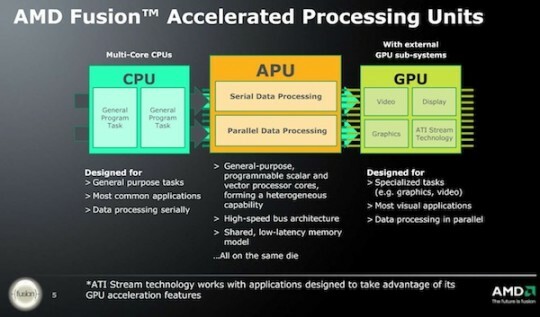 Another AMD’s Leaked Demonstration Video has been surfaced on Youtube which shows the Multitasking capabilities of the upcoming APU Quad Core chip. The chip is similar to the one leaked in the previous video which you can check out here. The Chip is codenamed A8-3510MX and features AMD’s HD 6620M Graphics. The previous video showed that the Llano’s Compute Capacity Performance was better than Intel’s i7 2600K CPU which is the fastest offering of its Sandy Bridge Series. However, The reason for the Higher performance was due to Llano’s GPU and CPU running at the same time in the GPU/CPU benchmarks which gave it a slight edge on the Intel CPU and holding a much powerful graphics core than the HD 3000 chip can also lead to higher performance output.